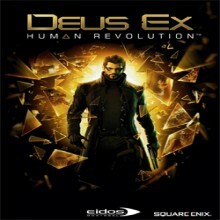 Deus Ex: Human Revolution has been in the works for quite some time now. Announced way back in 2007 before Eidos had been purchased by Square Enix and billed as a prequel set 25 years before the events in the first game, many people have found themselves wondering as the title came close to release if it would be able to live up to the legacy the original and make them forget about the “console developed” Invisible War. The time has finally come, and as if to keep PC gamers from wondering if their version was going to be nerfed or not Square has made a big deal about how they hired an additional developer (Nixxes Software) to enhance that particular version. But does it deliver and keep the established fan base happy, or will they be taking to message boards everywhere calling Human Revolution a travesty? While it is almost impossible to completely satisfy fans of the original (especially since many are thinking about it nostalgically), I’d willing to bet that most of them will be quite pleased with Human Revolution. It may have flaws, but it’s closer to the original than most people would expect in this day and age of multiplatform development and un-optimized PC titles. But I digress, and we’ll get to the technical aspects of the title shortly. As mentioned in the introduction, Human Revolution is a prequel and the technology that drove the original title is still in its infancy. Instead of nancotechnology, mechanical augmentations are the name of the game here and result in enhanced humans that look partially like robots. You take on the role of Adam Jensen, head security officer (and ex SWAT) for Sarif Industries, which is one of the companies working on leading the way into mechanical augmentations for all of humanity. In a game like this there are plenty of twists and turns, sometimes driven by player input, so I am going to keep story details to a minimum for those that do not want any spoilers. But the gist of things is that the game starts off with Sarif HQ being attacked by mercenaries and Jensen being left for dead, only to be rescued by augmentation. From there Jensen is dragged into a web of conspiracy and social issues revolving around whether it is ethical to use these augmentations at all or not. It’s an interesting tale, and while some of it does feel a bit derivative at times the atmosphere and quality of the character interactions and dialogue choices will keep players coming back and interested in what happens next. Due to the freedom granted to the player, this is the type of game where replays are encouraged. While you could technically use the save system to retry a scenario multiple times, it is more fun to stick with one run through and see what one choice results in. Your play time is spent completing missions, exploring the cities of Detroit and Shengha (Shanghai) as well as other minor locations. Whether you accept side quests, read e-books and emails in-game, and do other elements to enhance the overall lore of the world is up to you and this degree of freedom allows players to do as they please. The missions have been designed in this way as well, as it is possible to complete them using stealth (either without any confrontation or lethal/non-lethal kills) or going all out and attacking enemies head on. However, despite the amount of freedom granted in the mission design there are several situations where Human Revolution thrusts players into a boss battle where the only option they have is to fight. This could be frustrating, especially if you’re running a stealth build and your character can’t take that much damage but they aren’t impossible. Just keep this in mind, as even with a character oriented towards defense and brute force these pre-determined scenarios can still take several reloads before players finally take down their enemy. After the initial sequence, players can begin upgrading their character using the various augments. This is accomplished by using Praxis, which can be achieved either by filling your experience bar (you gain experience from doing everything to discovering a hidden room to killing an enemy) or buying them at the LIMB Clinic, which is fairly expensive. The augmentations are another element I don’t want to ruin for players, but here are the details you should know. First, everything is divided up into a particular category based on the limb or part of your body it modifies and based on this location it tells you what the effect will be. And secondly, it takes two Praxis points to unlock an entire category and one Praxis point to unlock additional trees within a category. It’s an effective system and encourages the player to make choices as to exactly what skills they want their character to possess for a particular mission. One thing that is done perfectly in this game is atmosphere. The gritty, run down future portrayed in Human Revolution is very bleak while still having quite a bit of modern charm, and players will enjoy discovering all of the little details. A lot of attention to detail has been placed in the environments, and every level has been designed so that objects feel as though they belong in a particular area. This isn’t just a title where a crate or barrier has been placed solely to draw attention to the cover system, instead everything has been crafted so whatever the player encounters feels natural and this makes the game even more absorbing. Just wait until you get lost in Shengha’s multiple districts and explore all of the various buildings and shops that it has to offer and you’ll understand the attention to detail the developers have given Human Revolution. Graphically the game looks good on the PC and has additional options to give it an edge over its console counterparts such as anti aliasing, shadow depth, and tessellation. There is also support for 3D (although it seems to be limited to AMD cards only) and multiple monitor support for further immersion. However, despite the enhanced graphics of this particular version the game doesn’t quite push the limits that titles such as The Witcher 2 do. While the scope/art design is incredible and the character models and animations are solid, get up close to walls and certain other objects and you’ll see they are pretty blurry which is a bit disappointing. Additionally, the cut scenes are pre-rendered and are done by a different studio which creates a disconnect between the in-game segments and story sequences. Plus it appears that they have been compressed quite a bit, and as a result on the PC they appear grainy and dark and look worse than the rest of the game. It isn’t the sort of issue that would keep anyone from enjoying the game, but it does pull you out of the experience and impacts some of the immersion. Finally, the load times I experienced were fairly lengthy and considering that the game loads when you go into particular buildings the 25-30 second lengths did become a bit annoying. Online forum posts seem to suggest that disabling VSYNC can solve this issue, but this was not something that I had tested as of the time of this writing. Playing Human Revolution with a mouse and keyboard feels completely natural and unlike many other multiplatform games you can tell the team was able to adapt all of the features over. I’ve heard of some people having issues with mouse acceleration, but this was not something I experienced. The default controls are pretty easy to get used to (WASD for movement, Q for stealth takedowns and H to holster your weapon, among others), but the key bindings can be reconfigured for players who want to try out some different options. But it is the mouse functionality that feels perfect, as players can type in computer passwords directly and the hacking minigame which has the player capturing several nodes at one time before the AI does is much easier with a mouse that lets you quickly select what you want to do. The cover system has been implemented perfectly, as pressing the right mouse button makes Adam stick to cover and changes the view to 3rd person (this can be changed to be either a hold or toggle). From there you can move around to view your surroundings, press W to pop up and aim at enemies, or use the spacebar to move from one object to the next. It feels fluid and quickly becomes second nature, and while I haven’t tested on a gamepad to compare I couldn’t imagine playing the game without a keyboard and mouse after putting so much time in. Adam Jensen is voiced by Elias Toufexis, who gives a gruffer performance than David Hayter. At times his constant tough guy voice comes off as a bit silly, but I actually found myself liking it quite a bit as the style is well suited to the gritty sci-fi world that Human Revolution takes place in. The voice acting for the rest of the characters and NPCs range from good to plain silly, and while some people may wish for stronger performances all around others may find that it adds to the unique charm that the game has. Although the voice acting is a bit uneven, the soundtrack and sound effects are spot on. The score of the game is fantastic and ramps up at just the right moments to give some of the more explosive moments more tension and atmosphere. There are even nods at the beginning to the soundtrack of the original, which should excite long time fans. The sound effects pack a punch, and with the right surround setup you’ll feel all the explosions and gun shots (the mines in particular make the room shake if you have the bass turned up high enough on your system). At first I thought that the artificial intelligence in the game was lacking, but it turns out that the developers made it so that it scales up as you progress. Your character can’t take much damage early on, so the best way to proceed is to sneak by enemies and take them out with takedowns or silenced weapons, leave them alone, or pop in and out of cover in gunfights. At the beginning of the game you are fighting gang members and other lowly enemies, so it is fairly easy to pop up and take them out with headshots, or run up the stairs or through a door so they will be unable to find you. But as you get further and begin fighting trained mercenaries, things change drastically. The first time an armored mercenary with a minigun converged on my position and went through a doorway to find me, I realized that the later AI is more advanced than I thought. These squads, if alarmed, will throw EMP and gas grenades in an attempt to flush you out of cover as they have heavily armored guards head towards your position. It makes for some very tense situations, and it has been awhile since a game (either stealth or traditional shooter) has made me genuinely worried that even with a strategic plan I may fail to progress. You’ll die quite a bit, especially on normal and hard difficulties (or as they call hard, “Give Me Deus Ex”) but the satisfaction gained from successfully moving forward makes up for it after you have overcome all the trials and tribulations. There are just so many elements in a game like Deus Ex: Human Revolution that it is impossible to truly cover them all, but I feel that I have hit many of the major bullet points. Sure, there are flaws, but many of them can be dealt with and won’t hurt the player’s enjoyment of the game that much (plus a few of the PC specific issues can be patched further down the road). The depth offered and the gameplay create an engrossing experience, and I still plan to return to it throughout the rest of 2011 to see how certain scenarios would play out if I approached them in a different manner. It’s a worthy successor to the Deus Ex name, and one of the best titles of 2011 by far. Just keep in mind that there are some quirks (such as the mandatory Rambo style boss fights) that do take away some of the illusion of freedom the game presents and enjoy the ride and you’ll come away feeling that Square Enix and Eidos Montreal have succeeded at what they set out to create and convey.